Let me tell you a thing about Iceman. A lot has been said about his most recent escapades, namely regarding his sexuality. Ever since coming out in the penultimate issue of Brian Michael Bendis’ All-New X-Men two years ago, the reaction has been… mixed, at best. While many are glad that decades of gay subtext finally became text, others weren’t so happy about the execution. For the unfamiliar, here’s what happened. In a pivotal scene, the time-displaced Jean Grey confronts time-displaced Bobby about his sexuality, effectively forcing him out of the closet to her. Though well-intentioned on her part, fandom was not happy about the way she went prying into his mind and bringing it up unprovoked. On the one hand, I get it. What Jean did wasn’t cool, and a straight writer like Bendis could’ve handled that scene with more finesse and input from actual queer people. On the other hand, however, being forced out of the closet by a well-meaning straight person isn’t all that unrealistic, and it actually happens more than people think. 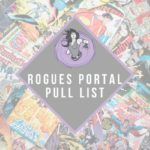 Shortly after the issue was released, Jay Edidin (of Jay & Miles X-Plain the X-Men) wrote about a similar experience they had regarding their sexuality and being outed as queer by a well-intentioned someone before they were ready to come out. At the time, I definitely agreed that we –as reasonable adults– shouldn’t be so quick to denounce a narrative that may or may not align with our own personal experiences, because no two people live the same lives. Sometimes, life just isn’t fair or idealistic as we’d like it to be. That said, I couldn’t necessarily relate to being forcibly outed by someone who didn’t mean harm. … until a few weeks ago. I should mention now that I’m not technically out to anybody in my family, barring one major exception. Sparing the gory details of this encounter, I was essentially forced to confront my sexuality by someone who claimed they already “knew” for a while, but hadn’t outright mentioned it to me until then. It was super, super uncomfortable, and though it’s weirdly relieving to know at least one other person close to me acknowledges that I’m not straight, I would’ve preferred telling them myself, on my own time. But again, life isn’t always fair and idealistic, which is a fair rationalization for Bobby’s initial coming-out moment. Phew. Now that I’ve rambled on about myself for long enough, there’s a new comic book I’d like to talk about. This week’s Iceman #1 carries the burden of expectation on its cold, translucent shoulders. Not only is it Bobby Drake’s ongoing title, but it’s also Marvel’s first book with an openly gay male lead. No pressure or anything! The fact that Iceman #1 even exists is a small miracle. Of all the characters who could’ve gotten a spotlight for ResurrXion, Bobby didn’t have to be one of them. Jean Grey and Cable –whose new solo titles have already launched by now– make sense, but Iceman? Given recent developments in his personal life, however, you already got a pretty decent hook for an ongoing series starring the guy. 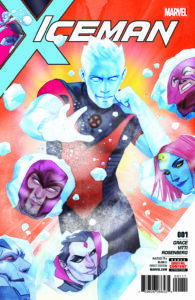 Iceman #1 suggest a driving force of this story will be Bobby’s slow (but steady) journey towards accepting himself as not just a prominent mutant, but also a gay man coming out in his late-twenties/early-thirties. In the year 2017, it’s easy to assume that all queer people come out in high school or college, but… what about the rest of us who didn’t? As much as I hate to remind myself of it, I’m not in a situation where I can just come out to everybody in personal life tomorrow and feel safe about my decision. Like Bobby, there’s already enough weighing on my mind as it is; it’s just easier not to say anything. After a health scare involving his father, Bobby’s reminded that he already feels like enough of a burden to his parents being a mutant, let alone his sexuality. As a gay dude who isn’t currently out to his family, that struggle rings painfully true. While I’m not a mutant like Bobby (sadly), I’ve been struggling with mental health issues for quite some time now, and the last thing I wanna do is unleash drop the gay bomb on my parents on top of that. While his teenage self has been more confident in his skin since coming out, adult Bobby hasn’t. Emotional constipation is all fun and games until you’re nearly thirty and realize you’ve barely begun scratching the surface of your identity, especially in comparison to your peers. Thankfully, writer Sina Grace’s script is filled with light-hearted humor to undercut the heavier stuff. 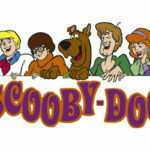 Bobby’s silliness has long been a prominent facet of his personality, and Grace seems to understand as much about him. While fighting a wannabe goon in his dad’s hospital, Bobby’s quips come fast and furious, even as he’s currently in the middle of an identity crisis. If that’s not Omega-level strength, I dunno what is. Similarly, illustrator Alessandro Vitti and colorist Rachelle Rosenberg’s art perfectly complements Grace’s script, reflecting whichever mood we’re being hurled into. When Bobby’s joyful, we feel joyful; when he’s down, we feel down. It also doesn’t hurt that he’s drawn to look very cute in both his human and ice forms. 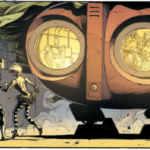 Letterer Joe Sabino also adds to the visuals, providing some sun flourishes (e.g. a smartphone interface when Bobby gets a text from his mother, narration boxes formatted like typed words on a computer as Bobby attempts to fill out a dating profile) whenever appropriate. In tandem with Vitti & Rosenberg’s art, I think it’s safe to say that Iceman is in safe, visual hands here. Buy it! 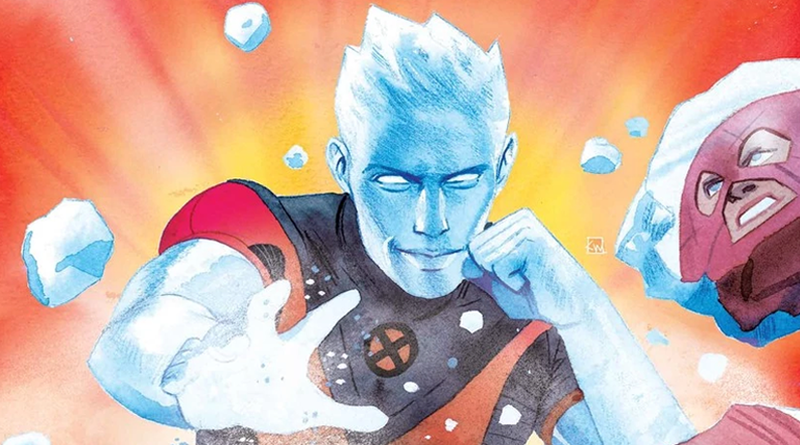 Fun and light while still poignant and emotionally-gripping, Iceman #1 is yet another exciting entry to the renaissance of Marvel’s X-Men line, and is definitely worthy of a place in your longbox.